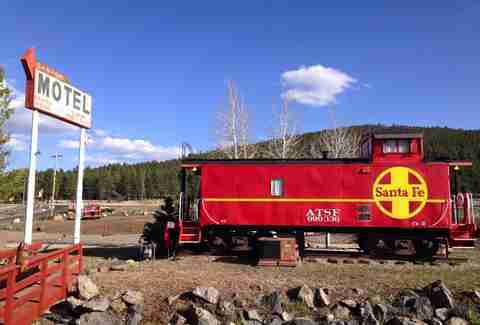 There’s no reason to stay in a regular ol’ hotel when you can spend the night in a train caboose in northern Arizona, or a haunted motel a mile above one of the greenest valleys in the state of Arizona. Travelers, take a break from the common corporate chains, live a little, and rest your head in a teepee or renovated Airstream in one of these uniquely Arizona places to stay. Forget camping and go glamping. At the base of Williams Mountain, along historic Route 66, is Grand Canyon Under Canvas -- 56 secluded acres and a luxury safari camp. Underneath your canvas tent is a comfy bed, furnishings, and in some cases, running water. The “stargazer” even offers a fireplace, private deck, and a sky-viewing window so you can take in the star-filled Arizona night. If you want to experience the 1950s (or something close to it), Bisbee’s Shady Dell will indulge your nostalgia. There are nine fully restored vintage aluminum trailers decorated in a mid-century style, with no shortage of flair and American kitsch. The 33ft-long Royal Mansion is the king of all trailers, decked out with leopard carpet, martini glasses for you to imbibe at your leisure, a collection of records, and a diner-style breakfast table. 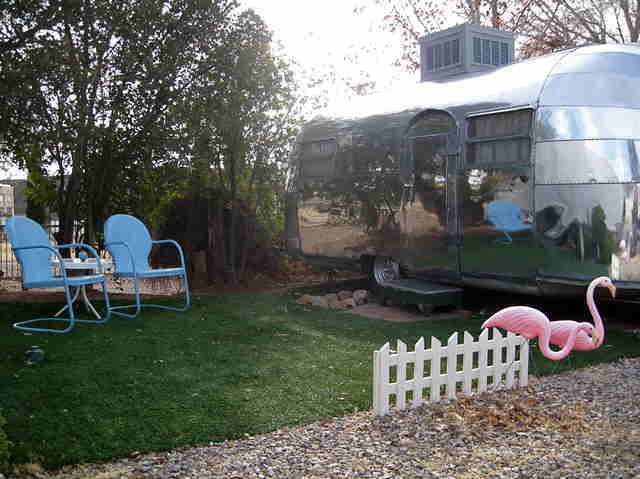 Each trailer also has its own lawn area with lounge chairs so you can soak up all the camp, kitsch, and sun. 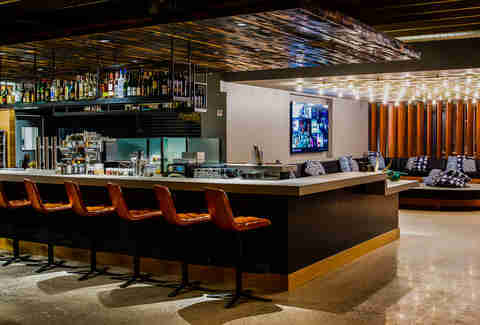 Moxy is one of Tempe’s newest hotels, and is the first concept of its kind in the United States (the original spot is in Milan, Italy). It’s also a hotspot of sorts for arts and culture because of its location near the ASU campus. You can watch live music performed by local artists, check out art events and displays, and even get your om on with the hotel’s yoga series. There are guitars and record players in each room (art you can actually play with!) and the main floor offers arcade games, a pool table, and a bar. The hotel is also a short ride from dining, drinks, and entertainment on Mill Ave.
Also known as “The Gateway to the Grand Canyon,” this motel and RV park has historic cottages and rooms to lay your head. But the real attractions here are the caboose rooms: two authentic 1929 Santa Fe railway cars have been transformed into unique suites. Don’t worry, you won’t be transported back to less-connected times. Both cabooses are outfitted with TVs and semi-unreliable Wi-Fi (what else could you expect from a modern motel?). If these walls could talk, they’d tell a helluva lot of stories. From Prohibition days to a devastating fire in 1934, Tucson’s Hotel Congress has been around for some major turning points in Arizona history. 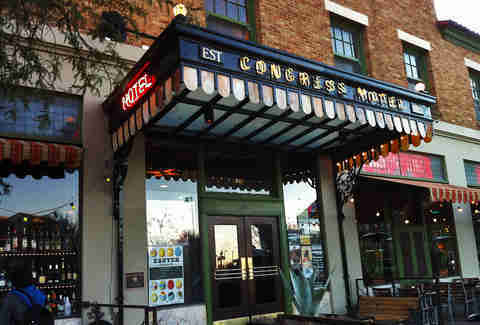 Today, Hotel Congress is recognized as a hip lodge that caters to foodies, music fans, and cocktail lovers. There’s also no shortage of character here: notice the blending of urban and vintage styles, walls covered in murals by Larry Boyce and Tucson’s resident muralist Joe Pagac, and a floor made entirely of pennies. The hotel is also home to Club Congress and Tiger’s Tap Room, named for barkeep Tom “Tiger” Ziegler (who’s been tending bar since 1957). 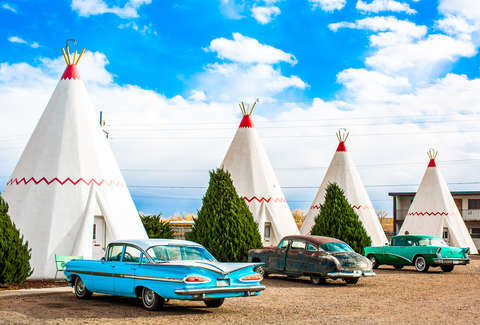 Holbrook’s Wigwam Motel is listed on the National Register of Historic Places for its vintage charm and rich history. There are a series of these surviving distinctive roadside landmarks from Kentucky to California (meaning you could technically do a wigwam road trip) and Arizona has the Lewis family to thank for its own set along Route 66. Built in the 1930s and 1950s, the rooms are pretty modest -- but who else can say that they stayed a night in a historic wigwam? 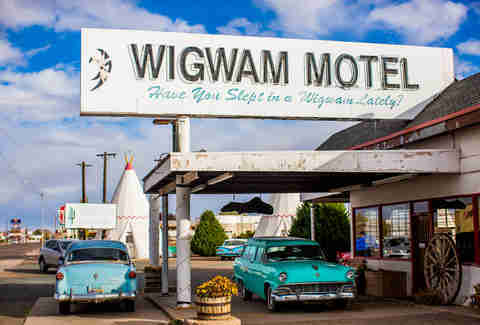 Be sure to marvel at the vintage cars lined up outside the wigwams, adding some extra mid-century flavor. Cool down at the first air-conditioned hotel in the city (today we couldn’t imagine life in Phoenix without good ol' AC.). Built in 1928, this hotel boasts a reputation as the only surviving hotel from the time in Downtown Phoenix, and has the old-world charm to prove it -- think antique furniture, brass fixturing, and tile. Don’t expect five-star amenities, and do know that the rooms are a bit small, but don’t be quick to write off this historic spot. 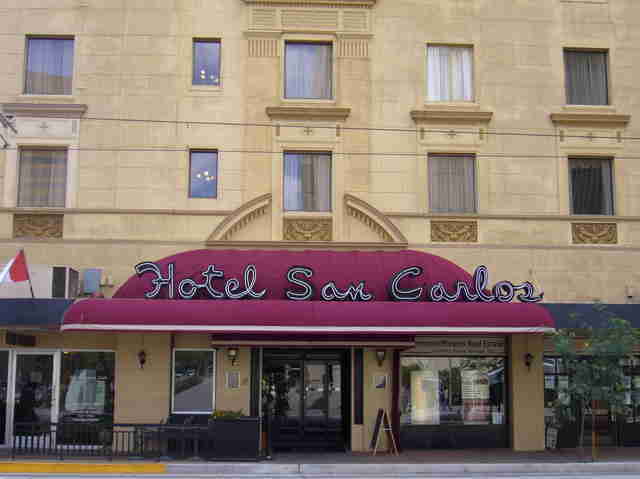 If you do decide to stay here, you will be joining a guest list that includes Old Hollywood celebs such as Marilyn Monroe, Mae West, Clark Gable, and Cary Grant. Jerome isn't exactly what you would call a traveler’s paradise, but this old mining town is worth checking out. 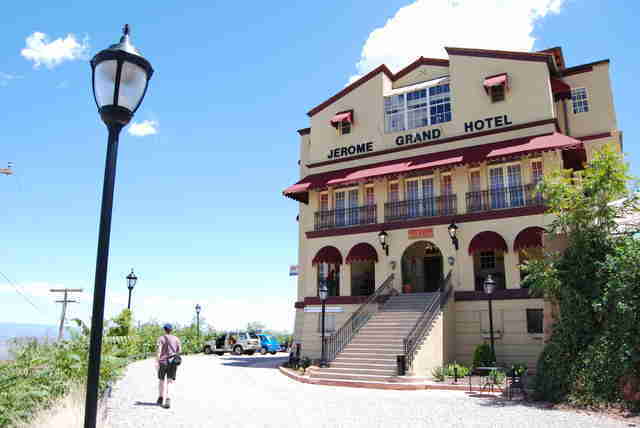 When you’re there, stop at the Jerome Grand Hotel -- situated a mile high and near art galleries, shopping, entertainment, and restaurants in Downtown Jerome. It’s said that this historic town and its hotel are haunted -- you can even sign up for a ghost-hunting adventure when you stay here. 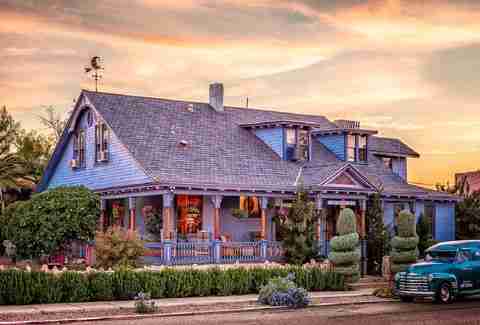 Situated in Sedona’s Arts District, the awarded adobe hotel is anything but ordinary. Outside, the luxury boutique inn is covered from top to bottom in lush greenery, and the grounds are peppered with colorful desert plants. 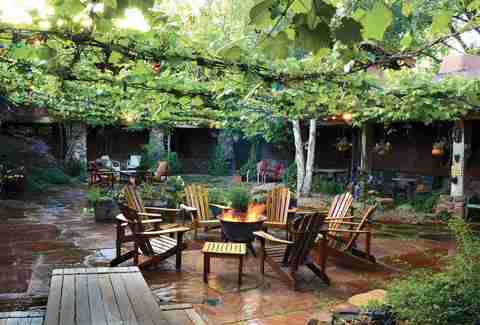 Inside lies a cozy, rustic oasis with a dozen different guest-suite styles -- the Juniper or Rim View has a private patio, fireplace, and in-room hot tub. When you’re not relaxing in your suite, know that El Portal is just two hours from the Grand Canyon and a short drive or bike ride from dozens of Sedona-area trails, wineries, and Oak Creek. 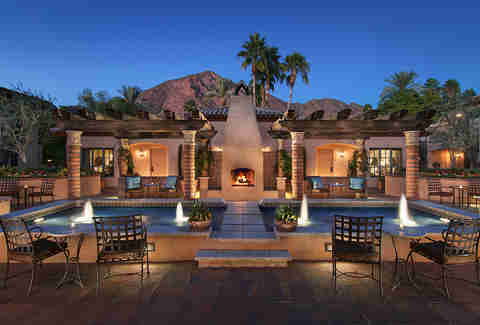 Nestled at the base of Camelback Mountain, Royal Palms offers an unbeatable luxe experience that makes you feel like you’re miles away from the city (when truly, you’re right in the center of it all). What is now an award-winning resort was built in 1929 by Delos Willard Cooke as a winter home called El Verdadero or “Winter Haven” to escape New York’s cold winters. The 65-acre resort has its own spa, citrus trees around nearly every corner, a yard for lawn games like croquet, and a pool (seriously, eat your heart out, East Coast winter). The adjacent T. Cook’s restaurant is a feast for the eyes (and stomach) -- there are palm trees growing through the floor and ceiling. This Downtown Tucson spot is at the center of everything -- dozens of restaurants, shops, and the University of Arizona -- but still manages to be different from its surroundings. Listed on the National Register of Historic Places, this Tucson bed & breakfast was designed by the famous architect Henry Charles Trost. Although it was built way back in 1899, today the large blue-hued house offers six uniquely decorated suites decked out with worldly items, like the Hemingway Traveler, the all-vintage-Deco room, or the Asian-inspired Zen suite. Sure, you already know that Arizona is home to the Sonoran Desert, the only place on earth where you can find those iconic saguaro cacti. But here in the Copper State, we’ve got more to offer than vast deserts -- we’ve got lush, dense forests, too. Bordering Coconino National Forest (the largest Ponderosa pine forest in the world! 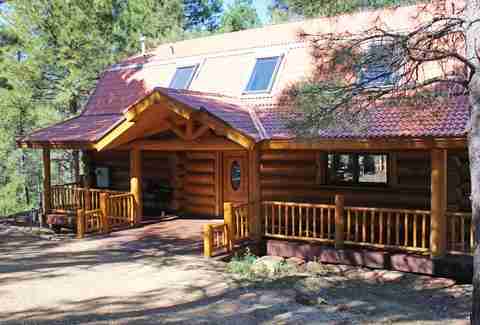 ), positioned in a country setting within the city limits of Flagstaff, and just a short drive away from some of the best skiing (yes, skiing) in the state, this cozy forest A-frame cabin, available on Airbnb, provides an escape from the hustle and bustle of modern-day life (with a mountain view of towering Humphreys Peak, to boot!). There’s no cable. No Internet. Instead, there’s mountain bikes, horseshoes, board games, books, and a BBQ grill. Get ready to unplug, grill out, and enjoy time spent in the woods of Arizona. 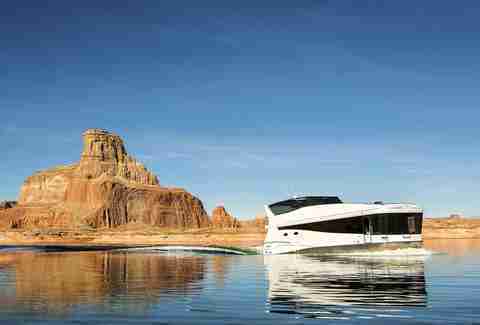 Lake Powell is a boater's paradise. The Colorado River reservoir draws in crowds of nearly 2 million annually for its seemingly endless watersport offerings, picturesque lake views, and ample outdoor opportunities. Instead of pitching a tent, stay on the lake instead. There are 2,000 miles of shoreline and 96 canyons which make optimal spots to let down the anchor. Choose from 10 different houseboats, including the 75ft Odyssey, which can sleep up to 16 of your closest bros. This Camelback Corridor resort has been a Valley staple since 1929, and is said to have housed Irving Berlin while he penned “White Christmas” poolside. If the musical history isn’t enough for you, the 39-acre property has eight swimming pools and luxe cabanas, lush gardens, five dining options, a spa, and golf courses. 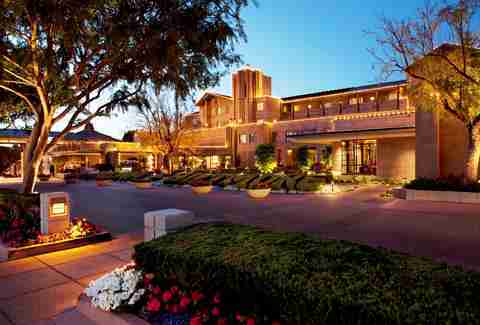 The hotel was designed by the famous architect Frank Lloyd Wright (who loved Arizona so much that he built his winter home here), and also offers suites, villas, or the Ocatilla -- your very own private sanctuary at the heart of the resort. 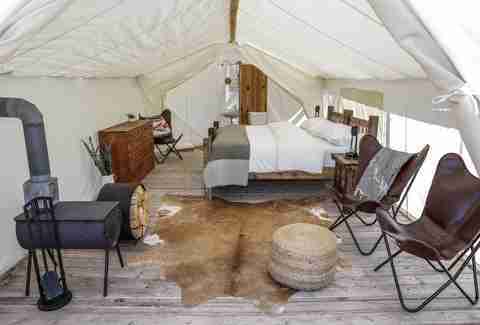 Lauren Topor is a writer for Thrillist who when given the choice will always choose glamping over camping. See where she goes next by following her around Arizona on Twitter and Instagram.